It’s that time of year again in southeast Calgary: snow removal has returned as a concern for both residential and commercial property owners. In southern Alberta, snowstorms can strike with little warning, leaving homeowners and businesses scrambling to get rid of built-up snow and ice. The City of Calgary enforces strict snow removal bylaws, and also not to mention the safety hazards that come with leaving the white stuff sitting around. The snow removal crews at Mirage Landscaping provide affordable, reliable and prompt service. We’ve been in business a long time, and we’ve fielded a lot of questions from prospective customers. That inspired us to put together this list of FAQs about our southeast Calgary snow removal services. Southeast Calgary Snow Removal FAQ #1: Will You Get to My Property Quickly after a Snowfall? The answer is an emphatic yes. We have the manpower, vehicle fleet and snow removal equipment to respond to all our customers quickly after a major snowfall. This is true even in cases where extreme weather creates a sharp increase in demand for our services. No job is too big or too small for our snow removal crews, and we always strive to make sure our commercial clients can open for business without interruption. Remember, too, that professional snow removal can deter thieves. Lawbreakers are likely to move on to easier targets if they see that a particularly property is well-maintained and properly cared for. 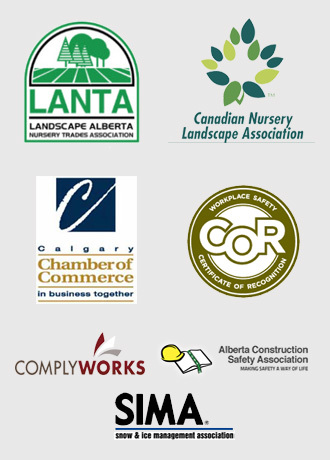 Southeast Calgary Snow Removal FAQ #2: Do You Abide by City of Calgary Bylaws? Yes. In fact, that’s one of the original reasons we decided to start offering snow removal services in the first place. The City of Calgary has very strict bylaws about snow removal, which are necessary to ensure public safety and guarantee accessibility throughout the city. However, these bylaws also put a big burden on homeowners and business proprietors, as they require the prompt removal of snow. Steep fines await those who don’t comply. When you sign up for our snow removal services, we guarantee that your home or business will always be compliant with city law. Southeast Calgary Snow Removal FAQ #3: Can Snow Removal Protect Me from Liability? Snow removal bylaws aren’t the only legal problem you should worry about during winter. In fact, they’re the lesser issue when compared with the prospect of facing legal liability for injuries caused by slip and fall accidents. Chances are it will be no surprise for you to learn that the chances of someone suffering a slip and fall accident on your property go down when you remove ice and snow promptly. However, at Mirage Landscaping, we go the extra mile. Our crews also spread de-icing compounds and other specialized products that improve traction for both people and vehicles. Our snow removal services are an easy, affordable way to make your property safer for everyone. They are especially attractive to businesses that usually experience high traffic volumes, even during the winter. Southeast Calgary Snow Removal FAQ #4: How Easy Is It for Me to Get in Touch With You? It’s simple as can be. Our staff members respond 24 hours a day, 7 days a week to incoming customer requests. Our reliable scheduling system ensures that we will dispatch a snow removal crew to your property automatically, anytime there’s a significant snowfall. However, if you need to reach us for any reason, we’re happy to take your call or email. Send email messages to info@miragelandscaping.ca, or call us at (403) 252-5235. Southeast Calgary Snow Removal FAQ #5: What Other Services Do You Offer? The Mirage Landscaping team offers a complete range of property maintenance services that keep your home or business looking its best all year long. In addition to southeast Calgary’s most affordable and reliable lawn care and landscaping services, we also build custom decks, fences and outdoor features that add value to your home while boosting its livability. You can also count on us to provide cleanup services in both the spring and fall. Be sure to check out our portfolio of past projects to see what we’re capable of! Whether you need our expert advice or just want to schedule snow and ice removal for your home or business, you can count on our family-run company to come through, time after time. 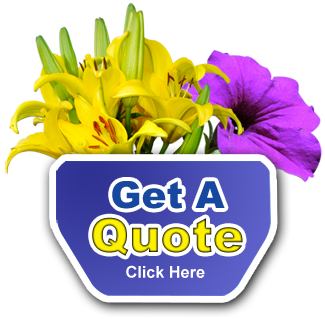 Get started by requesting a free custom project quote for your property upkeep needs.